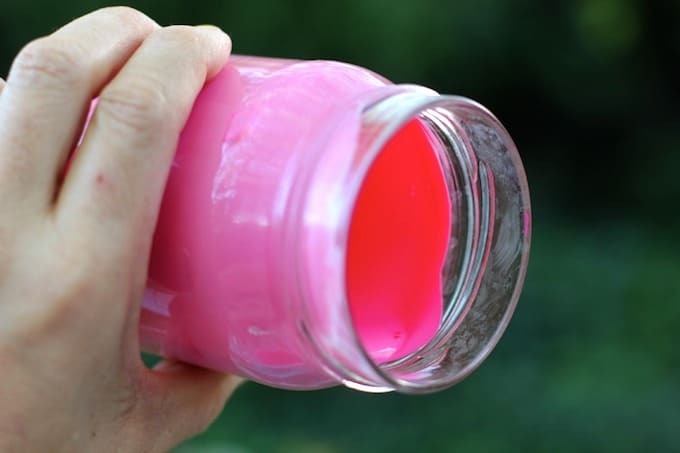 Use new Mod Podge Sheer Colors to turn make these pretty mason jar candle holders. 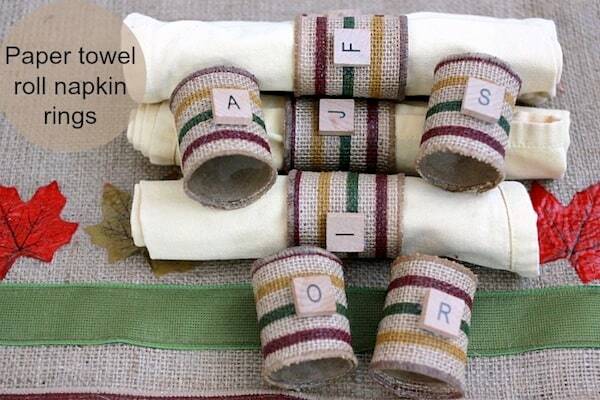 This project is so easy, anyone can do it! 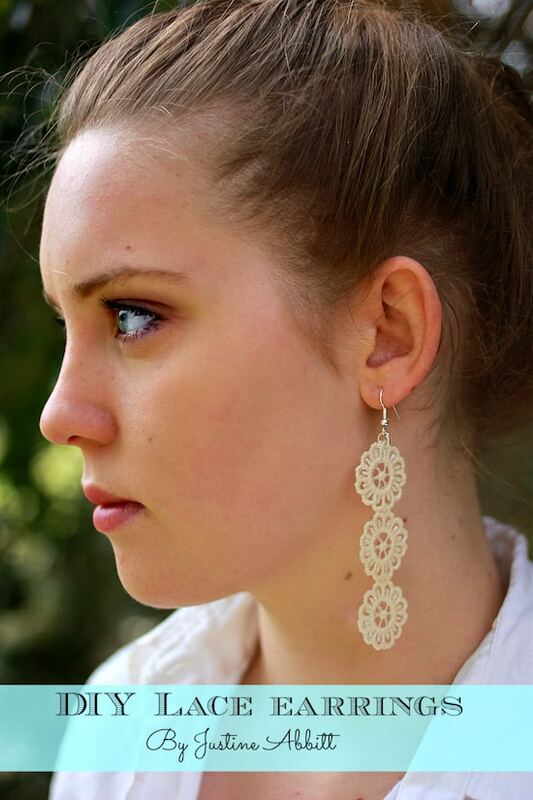 These are great for summers and parties. 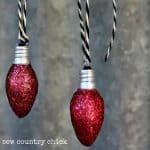 Hi, I'm Justine from Sew Country Chick – excited to share with you a tutorial using the new Mod Podge Sheer Colors and Peel n' Stick Stencils! 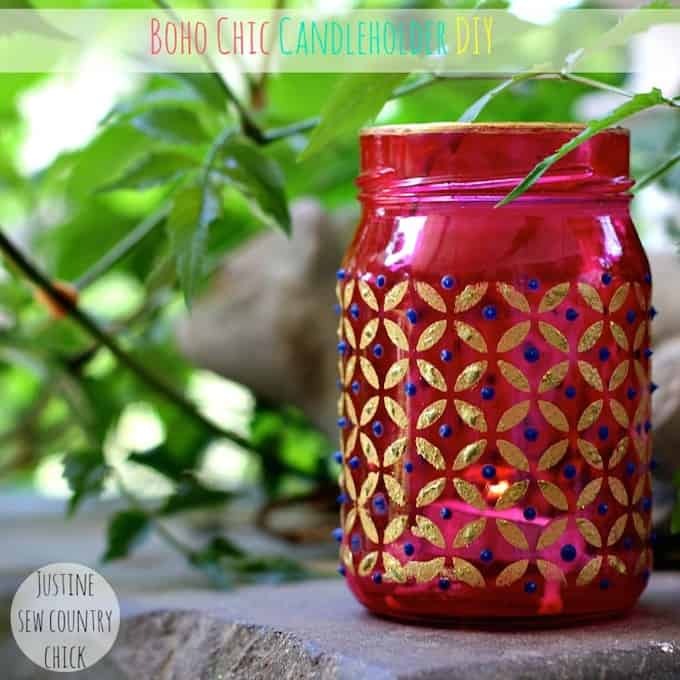 These boho chic mason jar candle holders are very easy to make and perfect for a summer evening party! 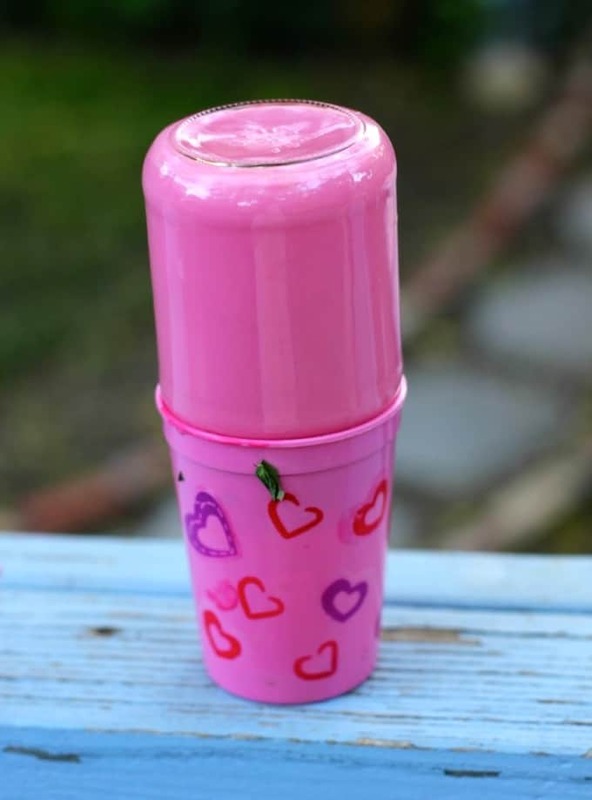 I could see making several and filling them with candles, giving a romantic and exotic look to the table. To start, making sure your jar is clean – wash and dried (and labels removed). 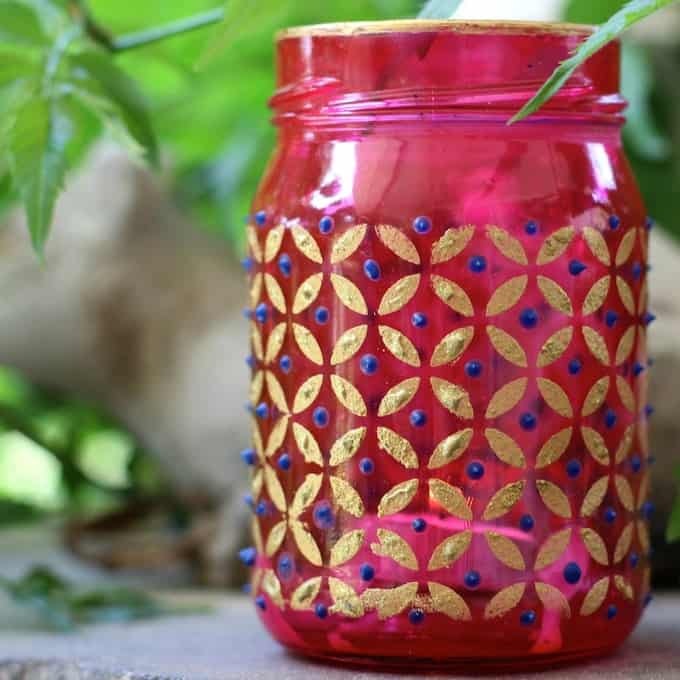 Pour a few tablespoons of Mod Podge Sheer Color inside the jar. Swirl it around and put it upside down. The Podge will eventually drip all the way down and cover the jar evenly. I put the jar in a little cup to catch the excess Sheer Color. Then I put the excess back in the bottle so I wouldn't waste it. It takes several hours for the Sheer Color to dry. I let mine sit overnight. 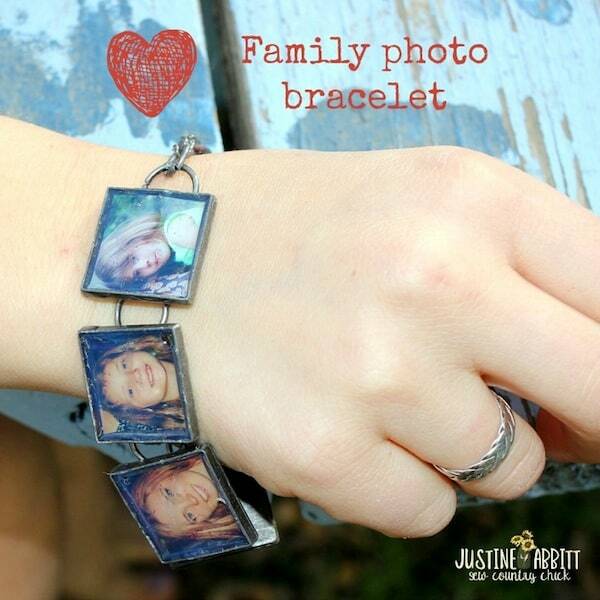 It dries transparent! Then I used a Mod Podge Stencil on the outside and painted it with gold paint. When that was dry I used some puffy glass paint to make little blue dots. Now you are ready for the party – it's that easy! The Sheer Colors come in a variety of colors, so you can customize for your decor or event. 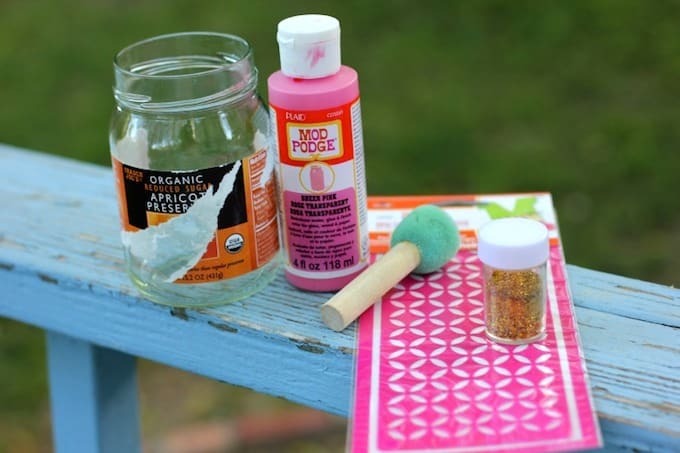 And the stencils can be used with paint or Mod Podge and glitter depending on your mood. 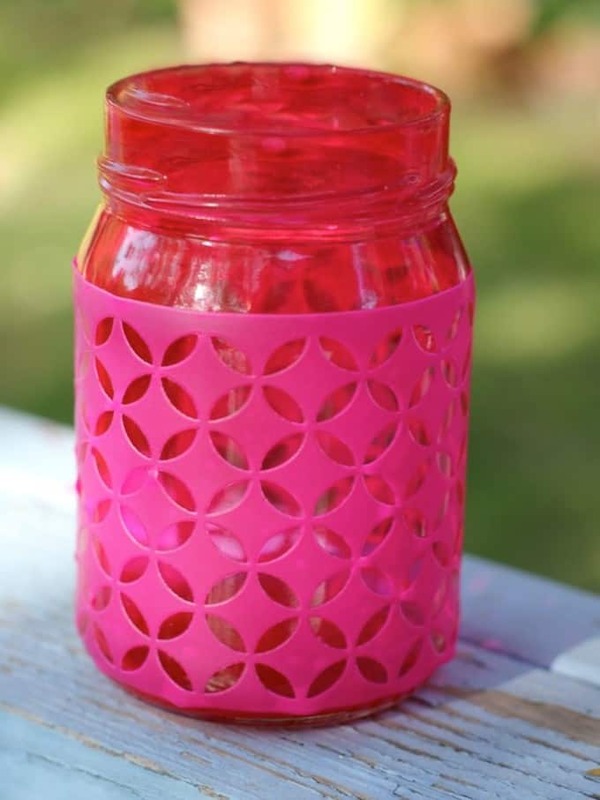 How would you decorate your mason jar candle holders?